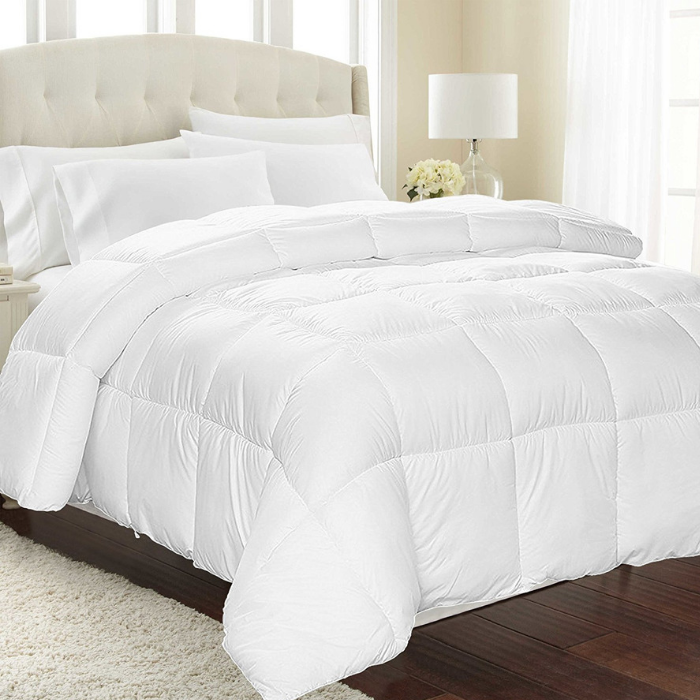 Equinox Quilted Comforter Just $29.97! Down From $60! PLUS FREE Shipping! Are you looking for a new comforter? Amazon is now offering this Equinox Quilted Comforter for only $29.97 down from $59.99 PLUS FREE shipping! The elegant square style stitching with piped edges keeps the siliconized gel fill from shifting, so you always have a plush, fluffy comforter that retains its shape. Clean crisp look complements any room décor or style. Like sleeping under a cloud. Cozy up with this luxurious down alternative comforter. Extremely soft 100% brushed microfiber cover with 6D hollow siliconized fiber filling lulls you into a tranquil restful sleep. Equinox Chef’s Knife Just $9.28! Down From $50! For a limited time only! Hurry over to Amazon where you can score this Equinox Chef’s Knife for just $9.28 down from $49.99 PLUS FREE shipping with Amazon Prime or for orders $25 or more! The go-to tool for any home chef is their chef’s knife. 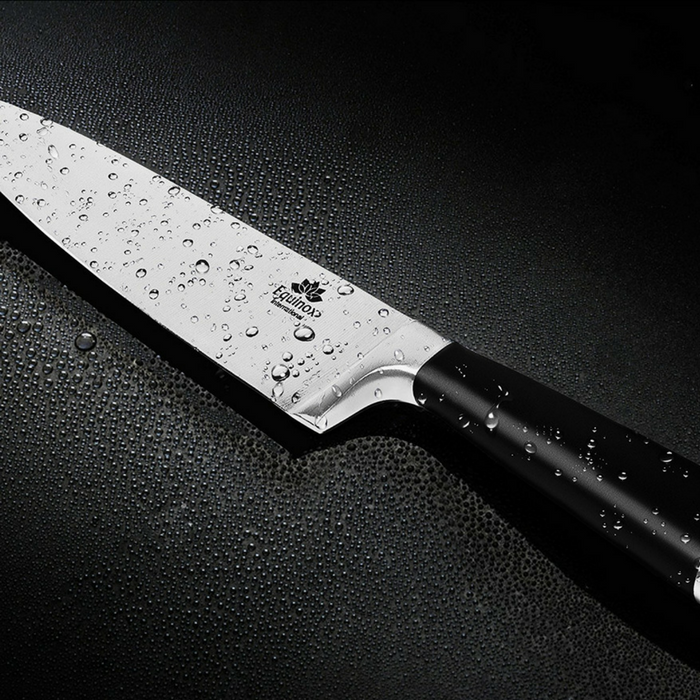 A great chef’s knife is versatile and can be used for slicing, chopping, dicing, mincing, julienne cuts, disjointing cuts of meat, and even smashing garlic. The knife should be sharp, feel at home in your hand, and handle the cutting task with ease. The 8” full tang blade made of Imported German Steel, is tough, holds an edge, and resists corrosion. The ABS handle is strong, durable, stable, moisture resistant, and beautiful. Which adds up to a sharp, strong, and durable chef’s knife that you’ll love and be using for years to come. VERSATILE – A Great Gift for the everyday chef. Handles daily kitchen tasks – slicing, dicing, chopping, and mincing of fruits, vegetables, meats, and fish. GERMAN STEEL- Crafted with the highest quality steel imported from Solingen, Germany. We give you a perfect knife that is sharp, rust resistant, easy to maintain, holds its edge retention and easy to re-sharpen. LIGHTWEIGHT – Feather-like weight gives you greater control in the cut, provides good balance and durability. ABS HANDLE – ABS is strong, durable, moisture-resistant and is equipped on the handle to provide balance, and comfortability.